1. Cut strips of paper – any old paper will do. I used 12×16 inch sketch book paper, but you could use patterned paper, colorful paper, of just regular copy paper. Thick card stock paper would work, but is will be a bit harder to make small circles out of. 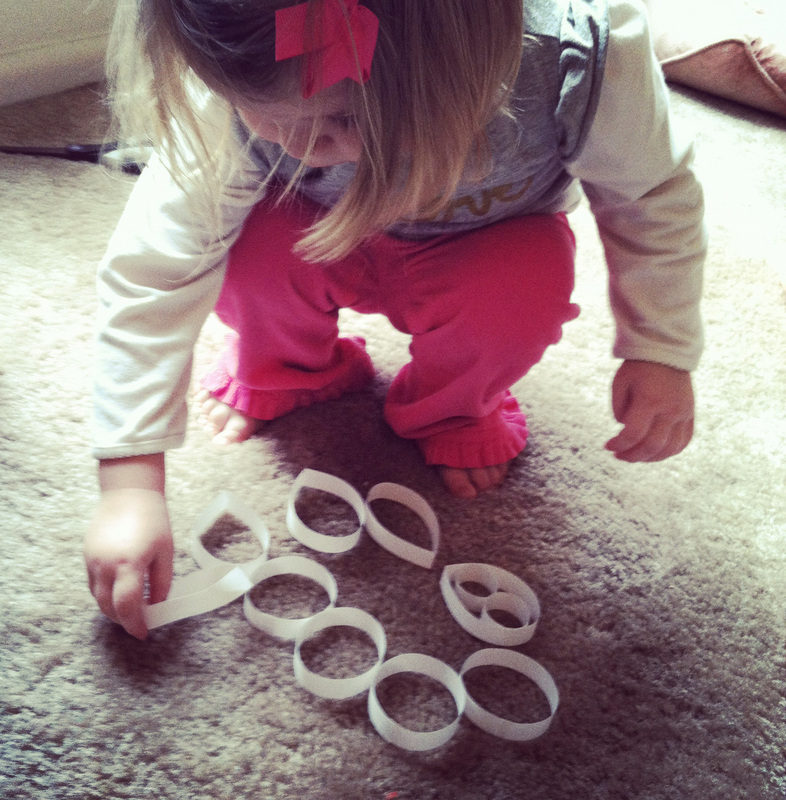 2. create an assortment of shapes and sizes of looped circles using a bit of tape. 3. pinch a few of the circles, making leaf and tear drop shapes. Just play arround and make an assortment or make them all the same for a more uniform flower. I made a couple uniform ones and they look like darling snow flakes! 4. first, lay out yor design. Play around with it until you get the formation you like. 5. Start taping! You’ll need two small pieces of tape on each side of the paper. Double-sided tape did not work as well, and don’t even think about using glue… just regular scotch tape does the job perfectly. 6. tie a string or piece of yarn on the top if you want to hang your new Snow Flower, sit back and admire your handwork!